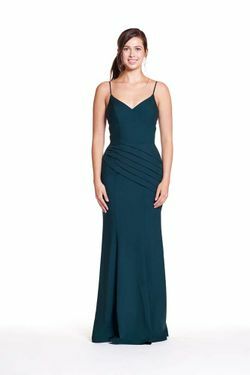 Bary Jay bridesmaid dress style 1920 - Floor length gown available in either Iridescent Chiffon material or Bella Chiffon. Also available as a Junior Bridesmaid. Shown in Metallic Rose Gold.